One afternoon last summer, Mark Webb, a UC Berkeley alumnus who studied Biochemistry, went on a hiking trip in New Mexico and “really wanted a hot shower and a warm meal.” The result of these thoughts was the creation of Energant, a company that promotes sustainability by electrifying rural communities in developing countries. The idea came to life when Webb decided to partner with co-founder and best friend Jacqueline Nguyen, a UC Berkeley junior studying Molecular Toxicology. Nguyen and Webb met in a Taekwondo class at the RSF and discovered they had extremely similar interests. “We realized we were pretty much the same person,” Nguyen told us. Together, with their engineering and chemistry knowledge and humanitarian aspirations, Webb and Nguyen –who lived overseas and had a hand in various initiatives with impoverished regions – developed the Kleancook, a rocket stove-like device targeted towards developing countries. Users cook with fire as they normally do, and the KleanCook converts the heat from the fire into electricity with the help of thermoelectric generators. KleanCook users can cook food as they do on a normal basis and produce electricity to power any of their electronic devices. KleanCook has the ability to make a significant impact on the environment. 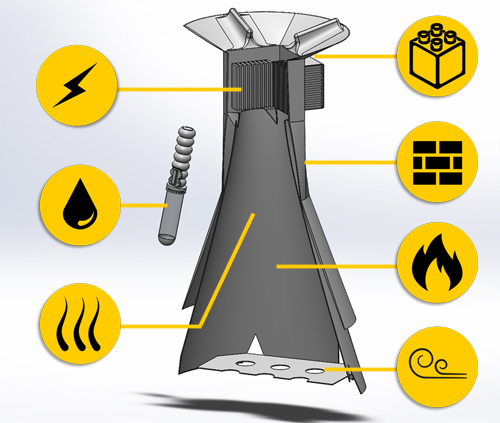 Aside from being able to generate electrical power, the product increases the efficiency of fires and burns off the harmful particles in smoke. 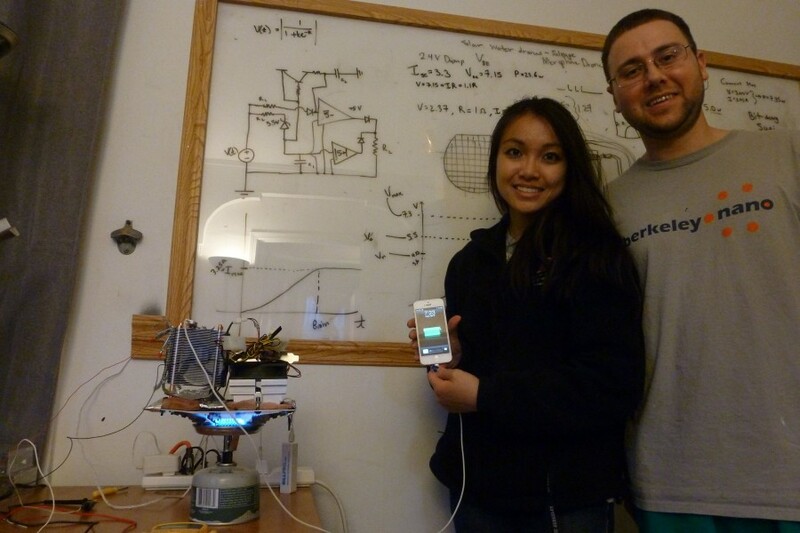 Webb and Nguyen plan to use this to help decrease indoor air pollution for product users. In addition to promoting reduced indoor air pollution and environmental sustainability, KleanCook promotes natural disaster preparedness by limiting the amount of energy source-reliant devices (because the fire produces the electricity). 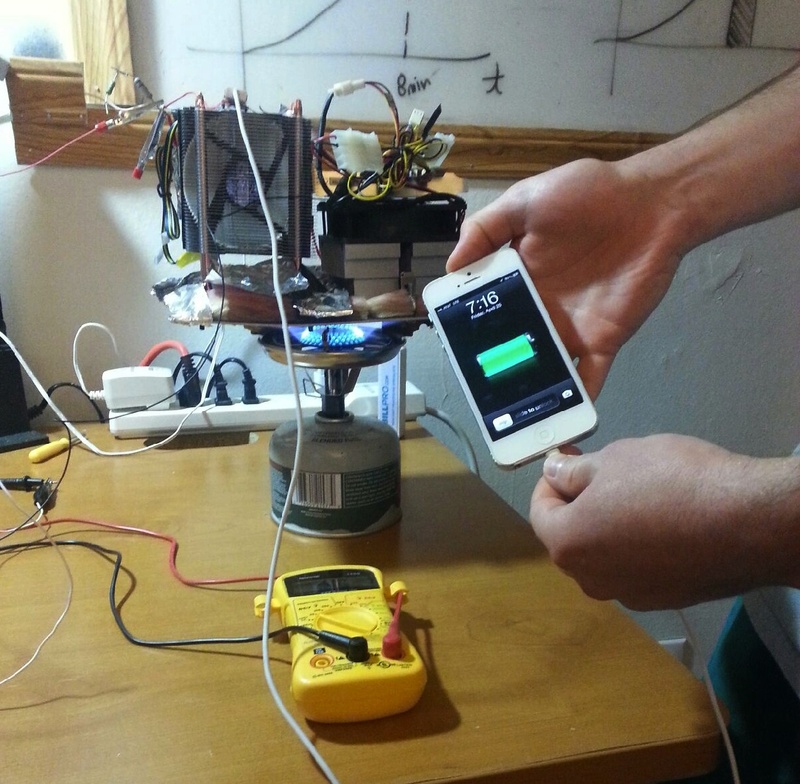 This summer, the duo plans to travel to Zamboanga City in the Philippines to perform rigorous testing on the product. Webb and Nguyen will test the product in remote areas. “People who earn less than $2 a day. And when you look at the numbe rs, there are a large amount of people who earn about $2-5 a day. So if you reach the $30 price point and incorporate micro-financing, the product becomes more affordable to that group,” said Webb. In terms of funding, Webb plans on cooking food for customers and allowing them to charge their phones with the KleanCook simultaneously. On April 20, the duo, their associate, Andrew Szesnak, UC Berkeley PhD student and Nguyen’s father traveled to Golden Gate Park in San Francisco and capitalized on the opportunities awaiting them. The group barbecued for 4/20-enthusiasts and doubled the amount they invested into barbecuing. “So recently, we just started hosting barbecues, and selling barbecued food, and once we got our full prototypes, we’re going to cook on the prototypes and let people see how the product works,” said Webb. Energant has also accrued funding through various competitions they have participated in. Energant won the Resolution Project’s Social Venture Challenge under Clinton Global Initiative University and “The Pitch” competition with ENvision Berkeley. They are currently finalists in the Big Ideas @ Berkeley competition on campus and are competing in Big Ideas @ Berkeley’s People’s Choice Video Contest. The duo has high hopes for the product (and so do we). Looking forward, Nguyen and Webb want to expand the product to other markets, including backpacking and outdoor enthusiasts and perhaps even the military. In a community of flourishing entrepreneurship at Cal, we at the Clog find great interest in new ideas that can change the world in unconventional ways. And barbecue. We like barbecue, too. Together, Webb and Nguyen developed a working prototype for the KleanCook.